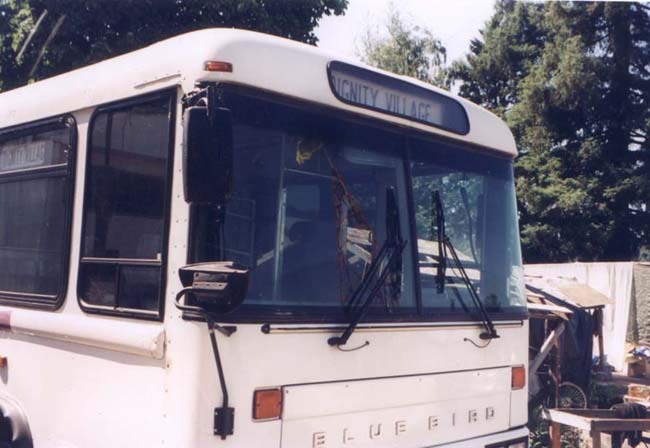 Dignity Village is selling its '92 Bluebird bus to cover operational costs while we await the determination of the grants we've written to begin our micro-businesses which will create jobs for the village and cover the costs of our dumpster and Port-O-Let services, pay for the propane our community kitchens and showers require and for the cleaning supplies that we need. Our bus is a customized '92 Bluebird with a wheelchair lift, air conditioned, air brakes, and is in top running condition, we're asking $15000, it's clean and must be seen. To view our bus, check the photos on our one Web site or come out to the village which is located at 9325 NE Sunderland Ave and see it for yourself. 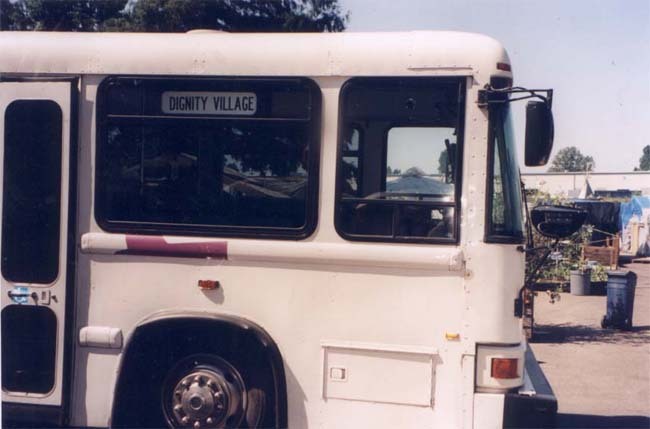 Email the village through this site or phone at (503) 281 1604 and ask to speak to Jack.